I must commit a day to take care of myself once in a while. Having a corporate day job in the field of advertising and blogging at the same time sure is a tough one. Aside from going to the salon, be it for a hair treatment or a getting your nails done, and soothe yourself in a spa– I discovered a new concept of pampering which is actually sweet and fun! Ever heard about sugar waxing and body scrub salons? Well, there is one you’ll surely love! 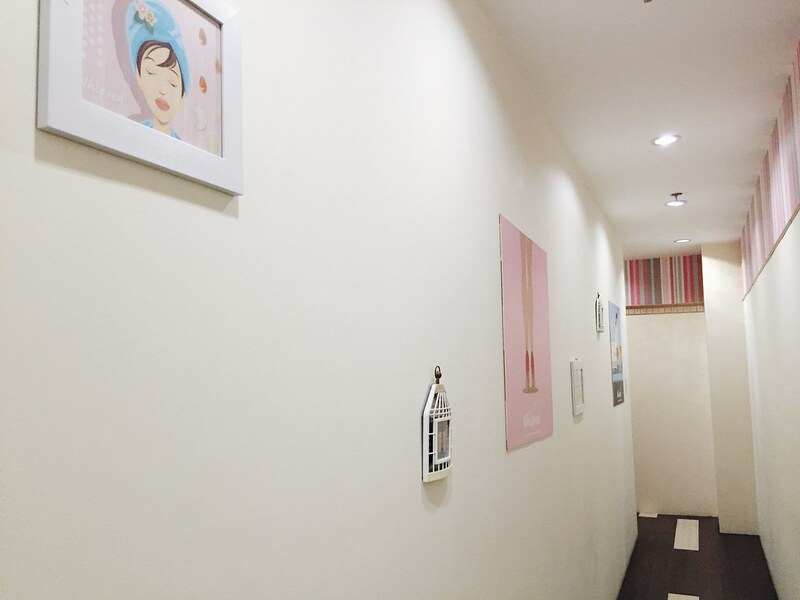 Whipped Sugar Wax Salon and Body Scrub offers a variety of sweet treatments for your hair removal and body scrubbing needs, owned by Ms Bing Fabi. It’s gonna be my first time to try it and I’m excited to experience it. I scheduled an appointment at their Alabang Town Center branch on a Saturday afternoon. The staff welcomed me well and were very accommodating. Since I’m not a shaggy person, I opt to try the caramel scrub for my legs and arms. Ahh, don’t you just love scrubbing– it exfoliates to slough off dead skin and you can feel the deep cleansing action within! So I went to the room as the staff prepared all the stuff for my Caramel Scrub session. 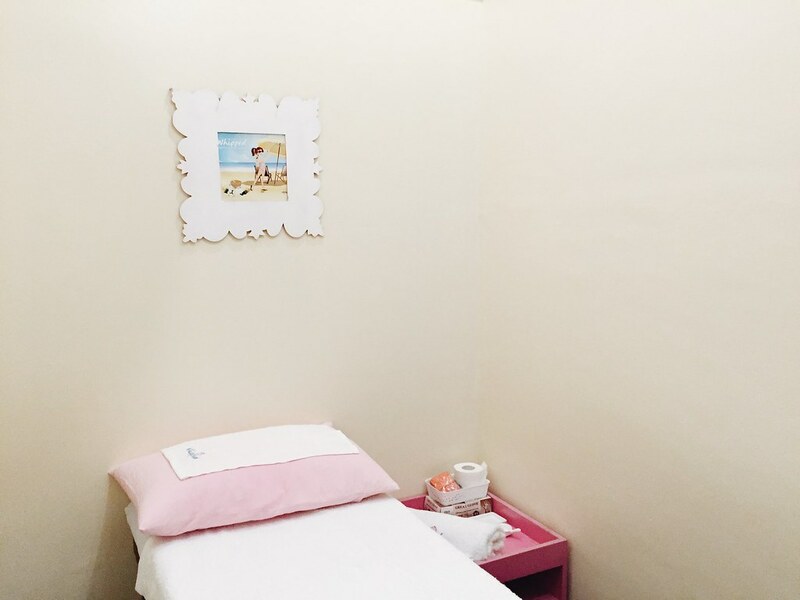 The room was clean and super cute pink sheets, white towels, and pastel colored walls. The Sugarist came who wear an all-white, nurse-like uniforms with face masks to ensure good sanitation and proper hygiene. 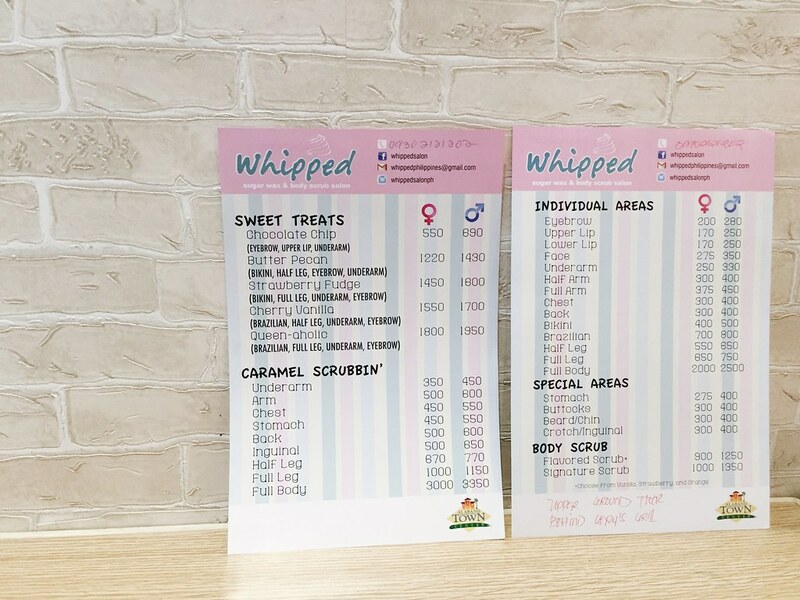 Visit Whipped at any of their three branches in Ayala Fairview Terraces, Alabang Town Center, and 8 Forbes Town Center. For more info, like their Facebook and Instagram.